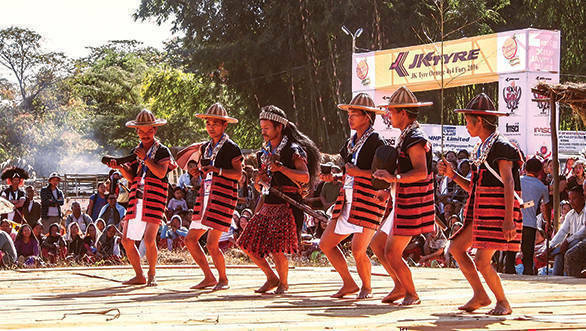 Music, motorsport and the promise of a completely new experience beckoned, and we were quick to answer the call to visit the unexplored paradise that is Dambuk, Arunachal Pradesh. And there's no better time to head to the far east of our diverse country than for the Orange Festival of Adventure and Music. The festival is in its second year, and if all goes well it should become a regular calendar event in the future. Our journey started in Guwahati from where we headed a further 660 kilometres to the east passing from Assam into Arunachal Pradesh and on to the untouched village of Dambuk. 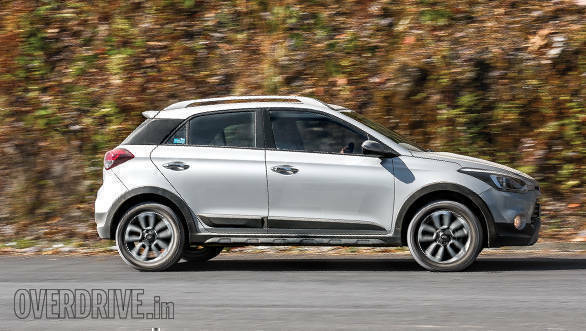 Keeping us comfortable on the trip was the brilliant Hyundai i20 Active. This compact crossover was the perfect companion on our trip, tackling the highways, broken country roads and even 15 kilometres of completely broken terrain (that included a riverbed) on the way up to Dambuk. 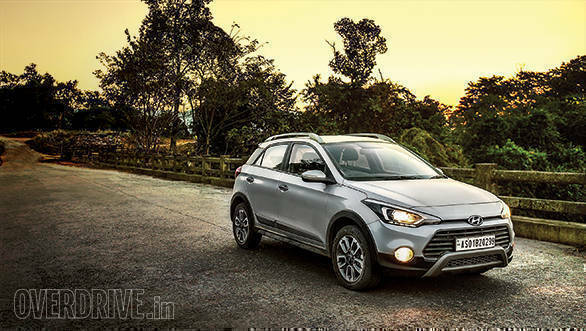 At the festival, we managed to catch up with Lhakpa Tsering, our Hyundai Hero for the month and a motorsport legend in Arunachal Pradesh. 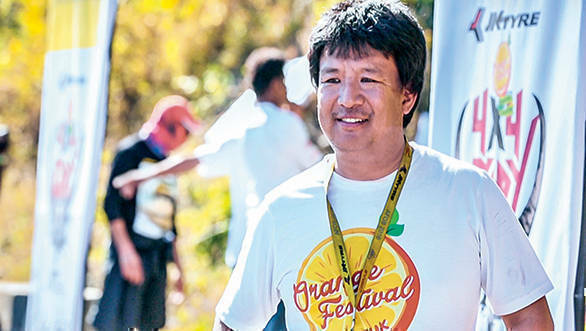 He is in charge of the motorsport (adventure) aspect of the Orange Festival, and it was a great privilege to meet a man who wants to give back to the community. The festival was great with an exciting 4x4 extreme rally, river rafting and treks into the surrounding hills to keep the adrenalin junkie occupied during the day. When the sun set (very early in these parts), it was time for the bands to take centre stage at the beautiful music venue. Headlining the event this year was Yngwie Malmsteen, one of the all-time guitar greats, and his performance was truly a once in a lifetime experience for us all. The valley of Dambuk is also known for its oranges, and with the i20 Active's boot filled to the brim with the delicious sweet fruit, we made our way back to Guwahati after a weekend that is sure to linger in our thoughts for a long time to come. In fact, plans are already being made to return for a super weekend next year. 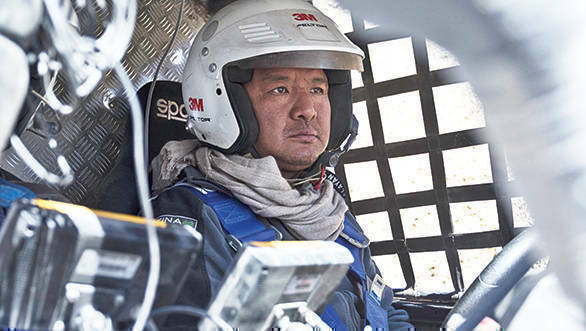 Lhakpa Tsering, 43, is now one of the many veterans in the Indian racing world. He has had a distinguished racing career that spans nearly two decades. His expertise lies in tackling the fast, exciting and dangerous world of rallying. He started racing in 1998 and since then has been participating at various events across the country, most notably the gruelling Desert Storm and Raid de Himalaya. He has won a number of titles in various categories over the years, with the most notable being overall winner of the 2015 Raid de Himalaya. 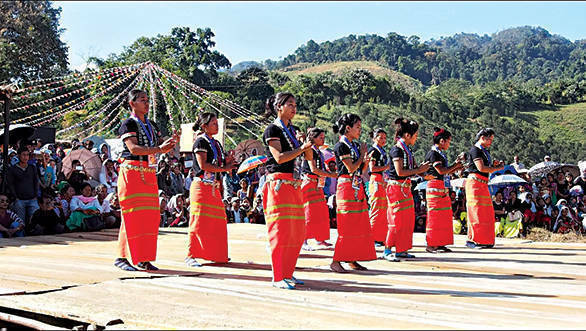 Lhakpa Tsering also organises the annual Arunachal Festival of Speed where regional talents have the opportunity to pit themselves against the best in the country right at their doorstep. OD: Please tell us a little about yourself. LT: My name is Lhakpa Tsering and I'm from Arunachal Pradesh. I'm the head of motorsport and adventure for the Orange Festival of Adventure and Music. I was also the overall champion of the 2015 Raid de Himalaya. OD: Please tell us a little about the 2015 Raid and what it took to win an event of this magnitude. LT: I think that it was my 19 years in motorsport that helped me the most with the win. It's actually patience and maturity that play a big part in wining such a tough event. For 2015, I was fortunate to land a sponsored drive with Polaris, so that made things a little easier but the preparations and actual event are still really really tough. With 100-kilometre stages and then 300-kilometre transport stages, you really need an excellent team. For me the unsung heroes are the service team. If you have a good service backup and plan your event well, then that's part of the battle won. Luck and bravery play a big part as well. While driving the Raid, I would be lying if I said I wasn't scared. In fact, it would be plain stupidity if you weren't scared at such an event. I remember one particular stage was especially scary with a kilometre-deep drop-off on the side of the road which was quite spine-chilling, but we kept our cool and used our heads and drove on through. At the end of the stage, it turned out that other people must have been a bit more scared than I was as my timing was the fastest on the stage. OD: What is the Orange Festival all about? LT: The festival has been conceptualised by a friend of mine in Arunachal Pradesh and since Dambuk is such an exotic destination, motorsport just had to be included in the programme. This year we have a Time Speed Distance rally as well as a 4x4 extreme off-road event. 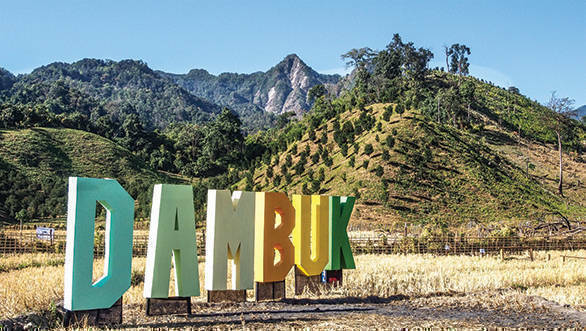 The idea was for people from all over the world to come and experience what life in Dambuk is like, and because the natural terrain is perfect for off-road events, we decided to include this aspect in the festival. Another thing I have learnt over the years spent in motorsport is that crowds really love to see cars all stickered up, making a loud noise and being driven in unimaginable ways. So we decided to add this angle to the event, and we were really glad when this year another manufacturer approached us to add the Time Speed Distance rally to the event. I'm glad that this is generating a buzz in the media and I'm proud that I'm doing something for the state of Arunachal Pradesh. OD: Where will we see you making headlines next?